A pain relieving oil that contain time-tested active herbal ingredients. A gentle application of Sagargoti Siddhi Oil to the affected area brings the desired relief. 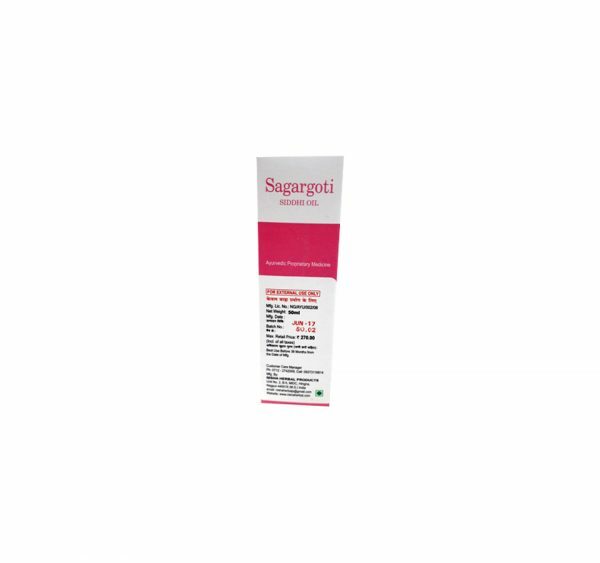 Sagargoti Siddhi Oil contains natural potent pain relievers of minor aches and pains from sprains, strains, backaches, bruises and sports extertion. 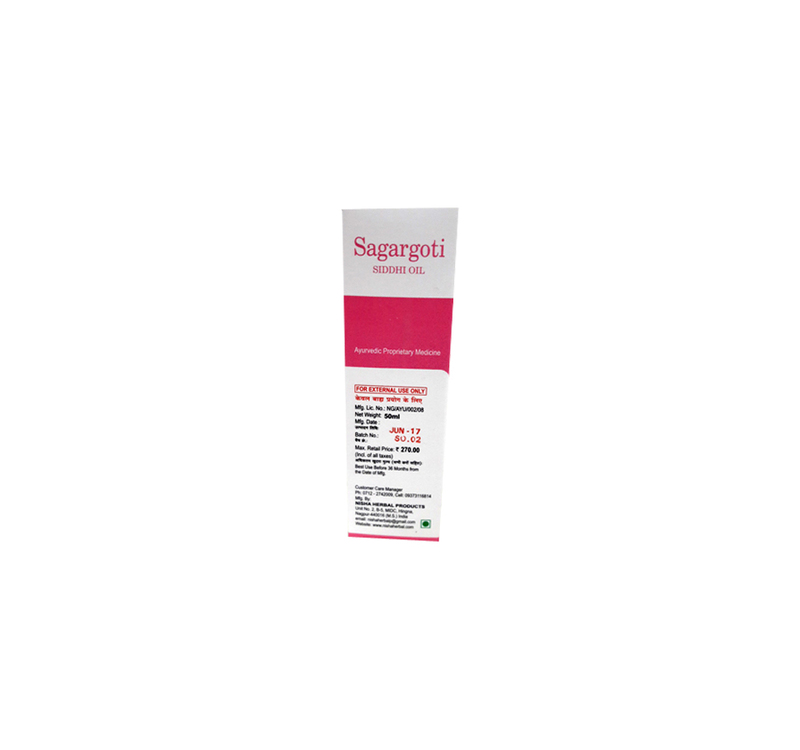 Composition: – Sagargoti beej 10% (Capsalpinia Bounducella) Til Oil (Sesame Oil). How to Use: – Apply sufficient quantity of oil on affected area. 2-3 times a day. Wash hands after use. Avoid contact with eyes.